Therapeutic and Clarifying. A woody-fresh scent that combines certified organic Douglas fir, Silver Fir and Grapefruit for an activating effect. A woody-fresh scent that combines certified organic Douglas fir, Silver Fir and Grapefruit for an activating effect. Energy is the Feng Shui blend that brings out the beneficial qualities of the Tree (wood) element. These qualities are inspiration, creativity, and the spark that arises from us connecting with what we know to be our source vitality. Energy blend inspires activity. Especially recommended for the workplace, living room, car and for clearing the atmosphere. 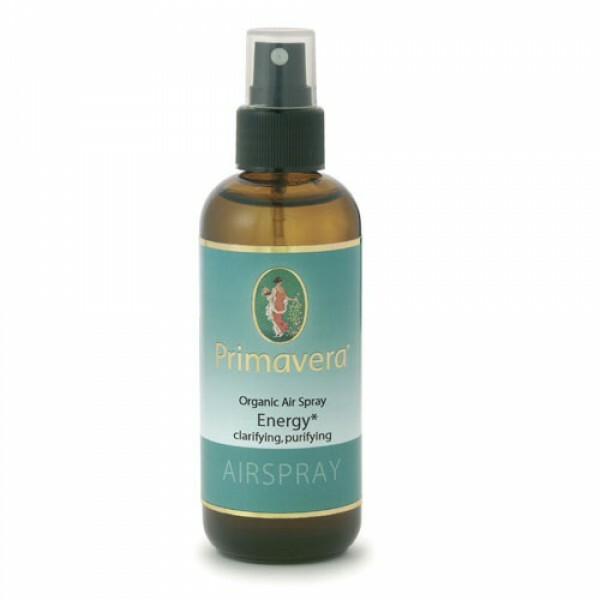 These organic airsprays use the finest organic essentials blended to bring aromatherapeutic benefits to fragrancing your home and workspace. A composition of organic alcohol, water and 100% pure Essential oils. Spray Gently into chosen area.